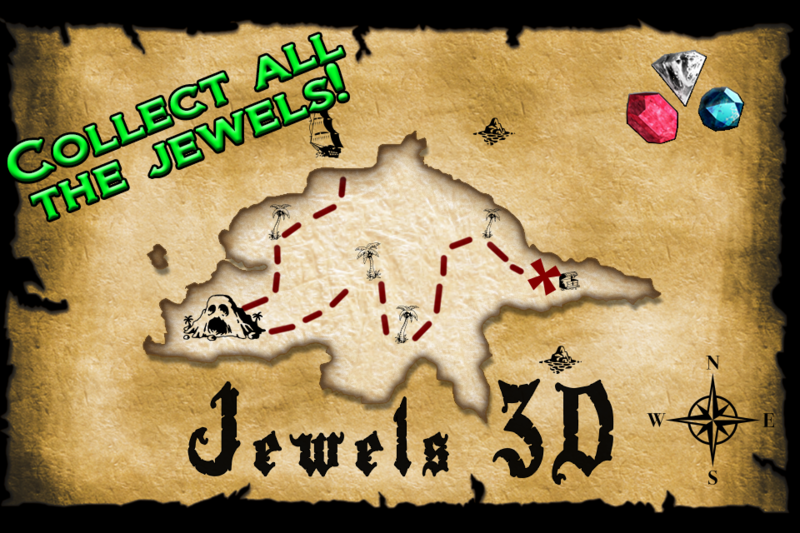 Jewels is an amazing match-3 puzzle game. Jump on board of your ship and start a new fantastic match 3 adventure. Your treasure hunt will bring you far away from home on an island fool of mysteries. Follow all the designed spots on the secret pirates map and find all the buried treasures of one of the most famous pirate captains of all times. But remember that it will not be an easy task. You will have to go through many struggles and face unimaginable difficulties to get your final reward but if you commit yourself eventually you will succeed in your mission. 3 x 3 x 3 x….. 4 x 4 x 4 x…... 5 x 5 x 5 x etc. Useful advice: You need to match at least 3 diamonds to get points, if you touch just 2 of them they will disappear and empty the space they occupied before, but without giving you any points. 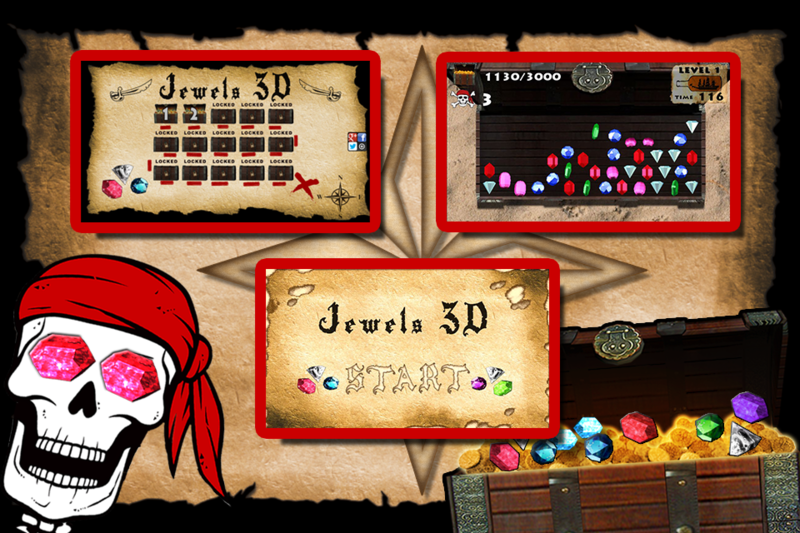 Warning: If you touch in a place where no matching gems are, you will lose 50 points. While playing remember always to keep an eye on your lives status if you lose to many jewels you will end up with empty hands. During your treasure search you will be permanently watched from the damned spirit (ghost) of the pirate captain that will appear with his frightening skull to check how you are doing. If you play your cards right, you will find many chests with a lot of different gems like sapphires, diamonds, rubies, emeralds etc. 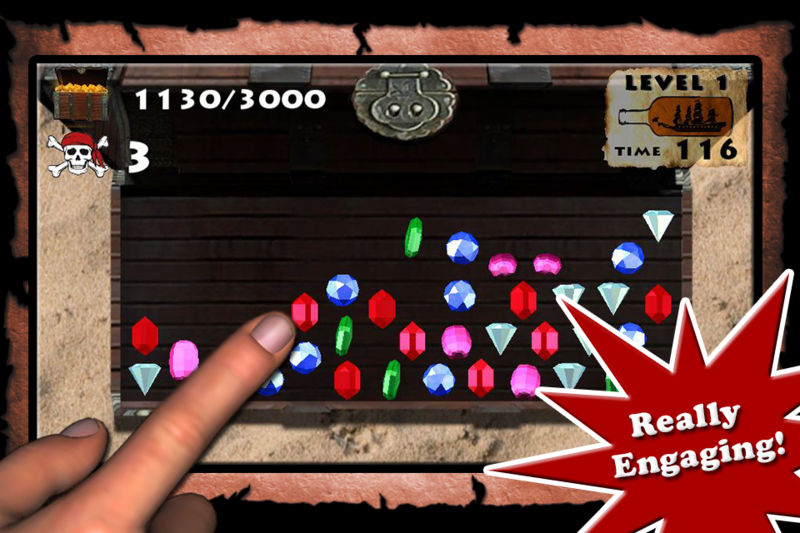 Try to master all the levels of this epic game and become a legendary treasure hunter. Download the new addicting Jewels game and you will never be bored anymore. Play it every time you wish to kill some time.